Few things in life are as frightening as when you suffer an unexpected injury. You may find yourself on the floor in pain or in your vehicle in an accident and need medical attention right away. Your mind starts racing with dozens of different circumstances for you to worry about, including how all of this will get paid for and what the long-term effects may be for you. Everything you are facing right now feels so overwhelming you do not know what decisions are best for you and your family. 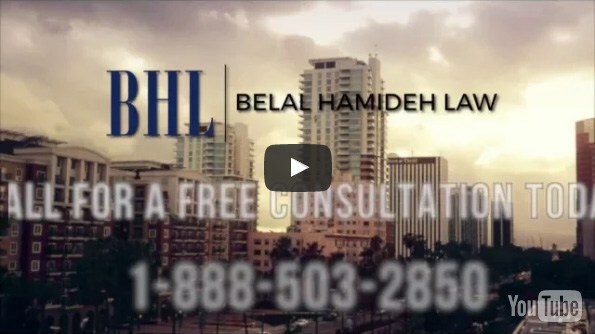 At a time like this, you need an accident attorney that will be there for you, like ours at Belal Hamideh Law. Our primary concern right from the start is to make sure you are getting the proper medical care so you can heal properly. We can get you in touch with the proper medical doctors and facilities to determine the extent of your injuries and what your medical needs and concerns are now. You do not have to worry about the medical costs involved in your care; as your lawyer, we will make sure your expenses are taken care of and all fees will get paid from any settlement reached on your behalf. Perhaps the most intimidating part of getting in an accident is the prospect of dealing with insurance companies and their lawyers. When you have an accident attorney provided by, Belal Hamideh Law, you will not have to fear dealing with the insurance companies alone. 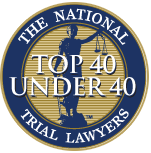 We are there to protect you and represent your best interests. We will stand up to the insurance companies to make sure they provide you with compensation to cover all your medical needs now and in the future as they relate to the accident. If needed, we will take them to court and fight vigorously to make sure you get what you deserve. At Belal Hamideh Law, we are the accident attorneys that will be there for you each step of the way in your case. You can learn more about the services we can provide you by visiting our website. You can then contact us at 888-503-2850 to speak with our office and arrange for a free consultation with a lawyer that will guide you through this experience and work to get you the compensation you need.